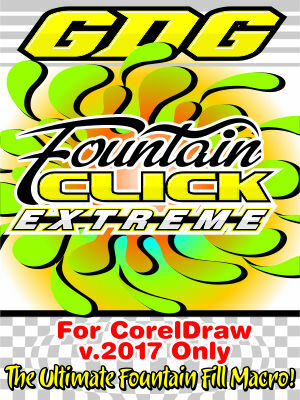 For CorelDraw v.2017 only. Although CorelDraw has updated their FF dialogs, some still prefer the functionality and options of this macro. Back because of popular demand. An alternative to Draw's fountain fill controls, plus ability to batch work with features regarding fountain fills. Really the must have macro for those who use fountain fills a lot. This version is for v.2017 only.